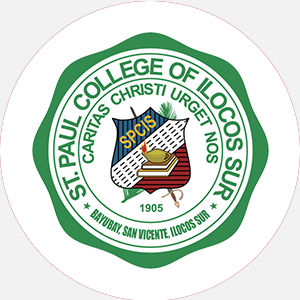 Saint Paul’s College (SPC) is a four-year, private, coed, liberal arts institute affiliated with t…. Saint Paul’s College (SPC) is a four-year, private, coed, liberal arts institute affiliated with the Episcopal Church. Founded in 1888 as Saint Paul’s Normal and Industrial School, the name changed to Saint Paul’s Polytechnic Institute in 1941 and authority was granted to offer a four-year program. The first bachelor’s degree was awarded in 1944. The present name was adopted in 1957 to more accurately reflect the liberal arts and teacher education curricula. SPC is a small college that provides a personalized education and an environment that fosters individual strengths and responds to individual needs. Its liberal arts, professional, and preprofessional programs prepare students for careers and graduate programs in humanities, social sciences, education, business, mathematics, and natural sciences. It is committed to the development of young Christian men and women who leave the college capable of taking their place in a multicultural society. Saint Paul’s eleven-building campus is situated on 185 acres of green hills. Older buildings were constructed by students and donated by friends of the College. Saint Paul’s College is accredited by the Southern Association of Colleges and Schools (SACS) to award the Bachelor of Arts and Bachelor of Science degrees. Graduation from an accredited high school (or equivalent) and completion of the following 16 units: 4 English, 2 mathematics (algebra and geometry), 2 science, 2 social science, and 6 electives. Submit official high school transcript, complete health form, class rank, and one recommendation. A application fee is required. Admission Application Deadline: Rolling admission. Admission Contact: Director of Admissions, Saint Paul’s College, 115 College Drive, Lawrenceville, Virginia 23868; Telephone: 434-848-6431; 800-678-7071 (toll-free); Fax: 434-848-0229. A minimum of 120 credit hours and completion of core requirements, including three mathematics, four science, and one computer course; minimum 2.0 GPA; last 30 hours in residence. Campus Regulations: Freshmen must live on campus unless living with a relative; cars must be registered and parked in designated parking area. Physical exam required of each new student by College physician. Campus Services: Health ce Campus Regulations: Freshmen must live on campus unless living with a relative; cars must be registered and parked in designated parking area. Physical exam required of each new student by College physician. Campus Services: Health center, personal and psychological counseling, career planning and placement, remedial instruction, tutoring, chapel, and religious activities. Campus Activities: Social and cultural activities include theater, jazz combo, lecture and concerts series, films, chorale, and dance. Housing Availability: 700 housing spaces; freshmen given priority.